The holidays are a fun time to dress up and for the past few years an Ugly Christmas Sweater Party has always been one of the many themes. They seem to be more and more common each year, but still a lot of fun. If you haven't been to one I suggest throwing one. It's the easiest party to get ready for and the fun lies in finding the most ridiculous sweater! I suggest first looking in your Mom, Grandma or Aunt's closet. If they don't have anything then check out the local thrift shop. If your local thrift shop is a no go (or if all the good holiday sweaters are gone) then check out the following retailers. 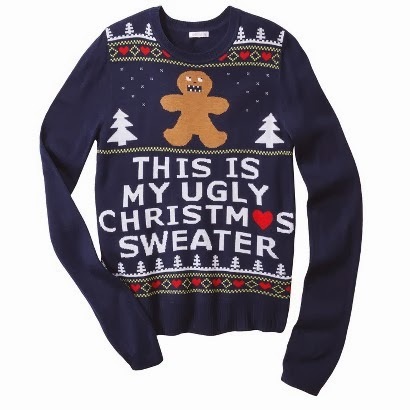 Click on the links to go to the Ugly Christmas sweater section!